It is a great pleasure for the Abdul Wali Khan University Mardan, that Assoc. 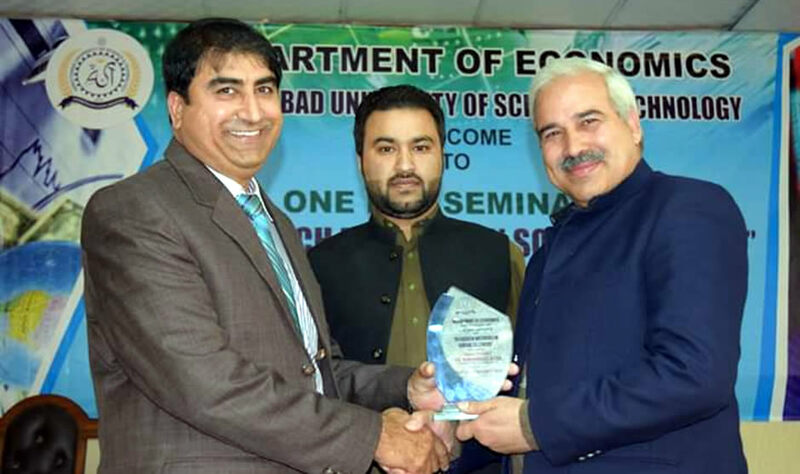 Prof. Dr Muhammad Azam Khan Chairman Department of Economics was invited Guest Speaker and delivered a talk on “Research Methods in Social Sciences” organized by the Department of Economics, Abbottabad University of Sciences & Technology, Abbottabad on 6 December 2018. The worthy Vice Chancellor graced the occasion and also give a shield as a token of appreciation to Dr Muhammad Azam Khan.